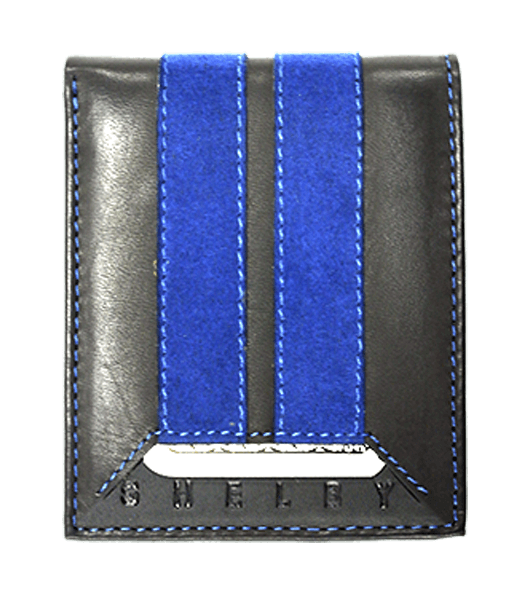 The Carroll Shelby Wallet with Blue Stripe W1BLU is made of leather with blue alcantara stripes. 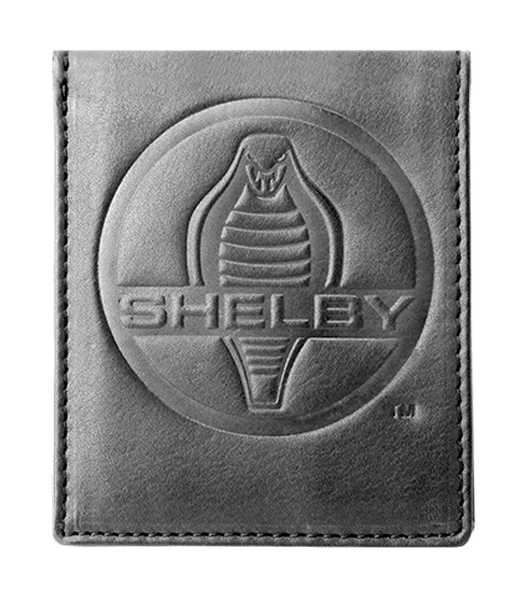 The alcantara is an important feature not only because it looks nice but because it has great gripping qualities making it less likely to slide out of your pocket. 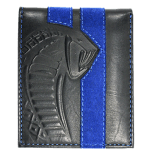 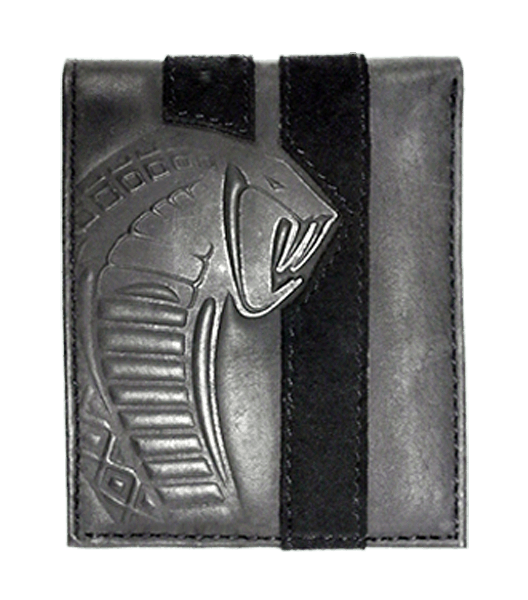 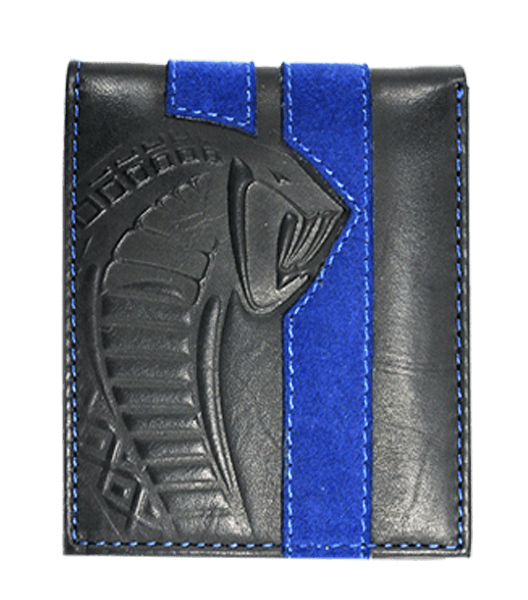 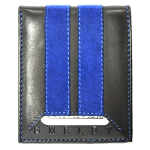 This wallet also features the Carroll Shelby Cobra Snake logo on one side and “SHELBY” on the bottom of the other side just above an extra slit for any card you would prefer to have easy access to.